The Dean’s Lecture in the Faculty of Business and Enterprise at Swinburne University was given by Bradford K Smith, President of the Foundation Center, based in New York. The Foundation Center is committed to transparency in philanthropy, having been established in 1956 to defend the philanthropy sector from hostile government enquiries such as those led by Senator McCarthy. (I borrow here from wikipedia: “‘as a strategic gathering place for knowledge about foundations'”‘ positing that transparency would be the best defense against congressional inquiries about private foundation activities and spending.” It has grown from publishing an annual foundation directory to now listing 108,000 foundations and donors and 3 million grants and is an online resource with a searchable library, newsletters and a collector of global data on philanthropy and giving. The aim of the Center is to “empower through knowledge”. Brad spoke about several trends in philanthropy evidenced through their data and collection activities. Trend 1: philanthropy will continue to grow. In the US it was a field distributing $30 billion in 2003 and $50 billion in 2013. Foundations can be identified in four categories, independent, operating, corporate and community, The sector in the US holds $715 billion in assets, and the trend is towards much smaller foundations giving locally with very few or no staff. Growth can partly be attributed to the growing profile of philanthropy, particularly through the Giving Pledge, the movement initiated by Bill and Melinda Gates and Warren Buffet to encourage wealthy individuals to pledge half their wealth to charitable causes. The Foundation Center has a page called Eye on the Giving Pledge which examines the 122 billionaires who have so far signed up. The Foundation Center recently did a survey which found 76% of foundations in the US have four or fewer staff, and in self-reporting only 27% had a website or issued annual reports. On more detailed and stringent examination they found that only 7% truly had a website presence. Trend 2: Philanthropy is a global industry, particularly as as Brad says: “the one thing the world economy is really good at is manufacturing billionaires”. The Foundation Center’s colleagues in China now map 3000 organisations which are considered foundations. The sense of community for large donors is changing as well. In the past, philanthropists tended to give back to the communities where their businesses had made their money, but now, with the technological/digital revolution, for some philanthropists, such as the Zennström Foundation (from the people who invented skype), their community is not local and physical but global and virtual. Their giving reflects this – with their key interests being international human rights and global climate change. Trend 3: people will demand to know more. 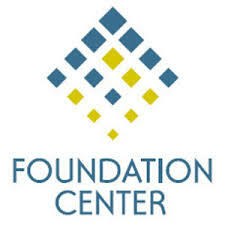 The Foundation Center now provides for real time updates of granting through their Reporting Commitment. This is a way for grantseekers and grantmakers to be more transparent and to be able to respond to queries from government. (I also recommend readers look at Glasspockets which is a Foundation Center website devoted to transparency in philanthropy). Trend 4: the philanthropy toolkit is growing from grants only to mission related or impact investing (but there is not yet a great deal of data on this). Trend 5: new forms of social investment such as online giving platforms and crowdfunding will continue to evolve. Trend 6: philanthropy will become more data and knowledge driven. Brad spoke about “big data” and how foundations can become more than just buckets of money. Through the information foundations collect about grant seekers and through evaluation and acquittals, foundations are now repositories of information, can commission their own research and are now not only managing information, but producing knowledge. Trend 7: technology will allow us to do tomorrow things we can not even dream of doing today. While the Foundation Center is committed to information, making decisions in the philanthropic field can never be an exact science. Brad concluded with a quote from Russell Leffingwell, the Chair of the Carnegie Foundation in 1952. “I think they [foundations] are entering into the most difficult of all fields. They have gotten their fingers burned, and they are going right straight ahead, knowing that their fingers will be burned again and again, because in these fields you cannot be sure of your results, and you cannot be sure that you will avoid risk;“. You can read this in full in Brad’s blog post on why foundations need to be more transparent. This entry was posted in donate, philanthropy and tagged bill and melinda gates, Bradford K Smith, Carnegie Foundation, eye on the giving pledge, foundation center, Giving Pledge, glasspockets, Russell Leffingwell, United States Study Centre University of Sydney, Zennström Foundation. Bookmark the permalink. Wow, Sharon, that was quick – and so professionally done!. Thanks and congratulations…!